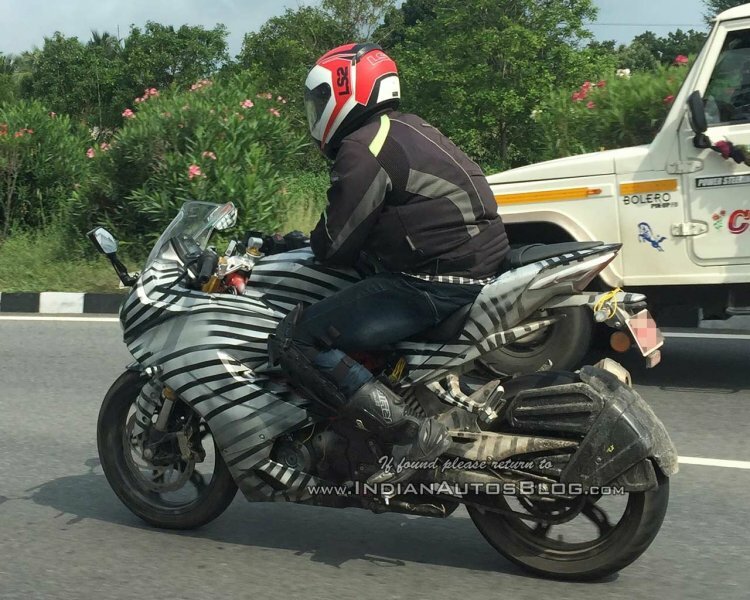 It has been confirmed that the production version of the TVS Akula 310, the TVS Apache RR 310 will be launched on December 6, 2017. The concept version made its debut at the 2016 Auto Show in India, and the production test mules have been spied numerous times. The company will make the bike at its Hosur plant, and will be the flagship product when launched. The patent design of the motorcycle was leaked in August, this year. The motorcycle features full fairing with twin LED headlamps. The vertical instrument cluster is fully digital, and the handlebars are clip-ons. The tall bubble-type windscreen and the sporty yet comfortable riding position could make it a potent sporty tourer. The TVS Apache RR 310 (likely the official name) borrows the powerplant from the BMW G310R. The G310R employs a 313 cc single cylinder, DOHC engine with liquid cooling and fuel injection. The engine pairs with a 6-speed gearbox. It develops 34 PS of power at 9,500 rpm and 28 Nm of torque at 7,500 rpm. 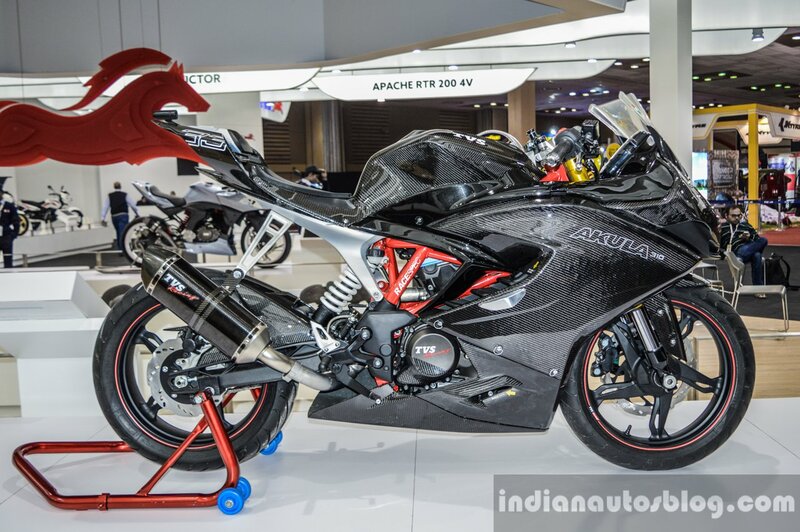 TVS is likely to tune the engine differently in the Apache to suit its dynamics. The design of the production version doesn't stray away too much from the concept bike. Suspension bits include upside down front forks with gold finish, and a rear monoshock. The bike employs petal discs on both ends for braking, and expect ABS at least as an option. The upcoming motorcycle should be priced below INR 2 lakhs, ex-showroom. It will rival the KTM RC 390 in its price bracket. Expect more details about the bike on the launch day.